If you love cars and trucks, the Central Florida International Auto Show returns to the Orange County Convention Center November 23-26, 2017. The show will feature literally hundreds of the latest model cars, trucks, crossovers, SUVs, alternative fuel vehicles, hybrids and exotics from both domestic and import manufacturers. 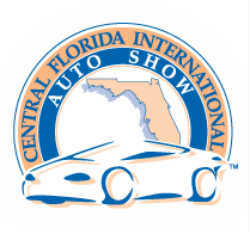 If you love cars and trucks, the Central Florida International Auto Show returns to the Orange County Convention Center November 26-29, 2015, bringing the latest model vehicles to Orlando. The show will feature literally hundreds of the latest 2016 model cars, trucks, crossovers, SUVs, alternative fuel vehicles (check out the Go Green area of the show), hybrids and exotics from both domestic and import manufacturers. 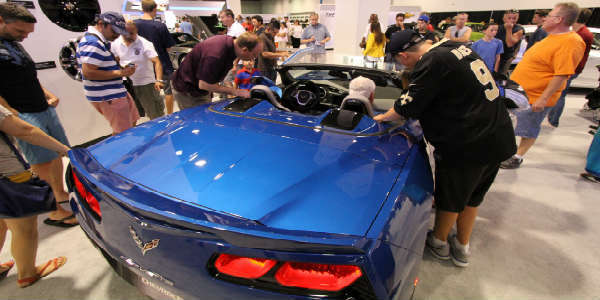 Hundreds of the latest cars, crossovers, trucks and SUVs will cruise into the Orange County Convention Center Thanksgiving weekend for the 2014-Model Central Florida International Auto Show taking place Thursday, November 28 through Sunday, December 1. The Central Florida International Auto Show offers attendees the chance to check-out the newest vehicles side-by-side in a non-selling environment, sit behind the wheels, inspect engines, kick tires and even take a spin in select rides from Buick, Chevrolet, Chrysler, Dodge, FIAT, GMC, Jeep, Kia, Mazda, Nissan, Ram, Toyota and more. For the first time ever, the Central Florida International Auto Show will host Camp Jeep, a thrilling interactive adventure zone where professional 4×4 drivers take passengers through an exciting off-road test track. A DJ spinning live music will entertain crowds, while children are invited to test drive a mini-Power Jeep and enjoy a 25′ rock climbing wall.